Saneeya Islam was in high school when she first knew she wanted to be a clinical pharmacist in a hospital. As she navigates through her final year of pharmacy school, we asked Saneeya, why pharmacy? I was attracted to pharmacy since high school due to the many interactions I had with pharmacists over the years. Pharmacists are the most accessible healthcare provider for many people. It was appealing to be part of a profession that provides care at the front lines and is easily available for medical advice. Pharmacy provides a good balance between science and medicine (my two passions) and there are so many opportunities within the field. I know that I made the right decision when I enrolled in pharmacy school. I decided based on location, affordability, and emphasis on interprofessionalism. I had recently moved to Tampa and was looking for a pharmacy school close by. 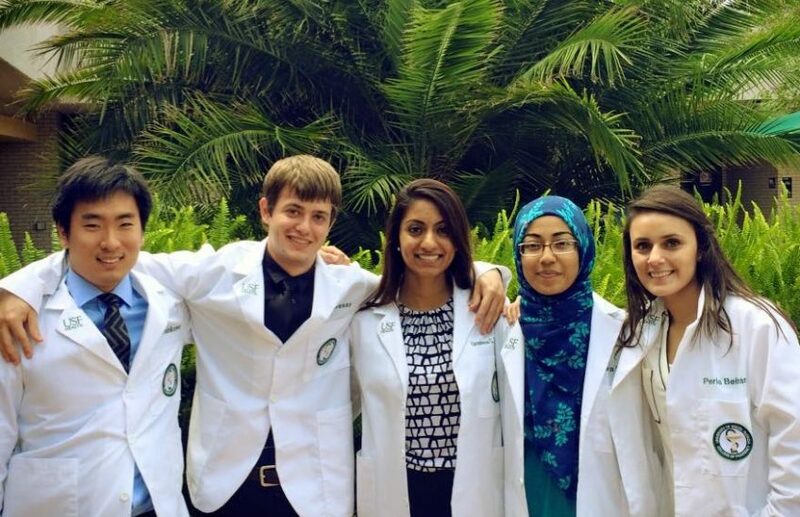 University of South Florida (USF) College of Pharmacy was a great fit—it was close by, affordable, and placed a great emphasis on interprofessionalism in the healthcare field. Did any family members help you get where you are today? My uncle and my cousin are both pharmacists. 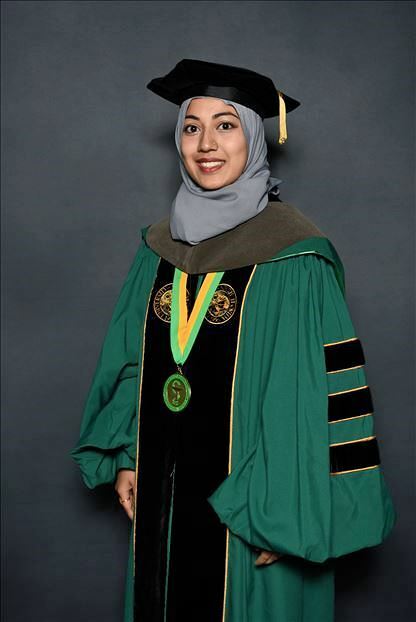 I spoke to them extensively throughout my academic journey and received practical advice on how to navigate my way into and through pharmacy school. My uncle sends me weekly emails regarding job opportunities, FDA notices, and more. I am really enjoying rotations this year; I already feel like I am a pharmacist! We spent three years learning and studying and this final year has been a great setting to practice all that we have learned over the years. You can read and study all you want, but what matters is being able to apply the information in a real-life setting. During rotations, we work with patients, make recommendations to physicians under supervision, and hone our presentation skills. One bad grade will not break you. I remember feeling so upset when I made a “C” on a calculus test. I felt like my dream of becoming a pharmacist was over. But my mom said that in the long run, it won’t matter that I got a C on a calculus test. Many great people have failed before they succeeded in their respective fields. It did not mean that I should give up. It will matter how I use the opportunities given to me and what kind of legacy I leave as a person and as a professional. This piece of advice really put things into perspective for me. I live by this advice to this day. What advice would you give someone interest in a pharmacy career? Work hard, play hard. Study as much as you can, do well. Don’t worry if you fail sometimes. We all have failed and bounced right back. Don’t overwhelm yourself while you are pursuing a career as a clinical pharmacist. Remember to set aside some time for yourself to have fun, to work out, and to relax. You perform your best when you have a good balance of work ethic and time for yourself.